In recent years, the range of options related to both administration of RAI and the imaging technologies used in the remnant ablation procedure have presented important new considerations to radiologists and oncologists to support effective management of thyroid cancer patients. The thyroid gland absorbs nearly all of the iodine circulating systemically in the body. As a result, when RAI is administered in patients, it has the targeted ability to concentrate in and kill thyroid cells, including any residual thyroid cancer cells. For remnant ablation with RAI to be effective, patients must have sufficient levels of thyroid-stimulating hormone (TSH or thyrotropin) in the blood. This hormone stimulates any remaining thyroid tissue to take up the RAI. Patients often report that symptoms of hypothyroidism can affect their ability to manage many day-to-day responsibilities. In just one example, a recent study of cognitive and motor impairment in patients with hypothyroidism concluded that complex activities requiring rapid responses, such as operating motor vehicles, should be avoided during severe iatrogenic hypothyroidism.4 In recent years, management of the remnant ablation process using RAI has increasingly focused on strategies to help reduce the risk of hypothyroidism. In an empiric treatment model, following thyroidectomy treatment with thyroid hormone replacement therapy is either not initiated or is stopped to allow TSH levels to increase to approximately 25 to 30 mU/L. Patients are then treated with RAI (I-131) at doses ranging from 30 to 100 mCi. Between three and seven days following administration of recombinant human TSH (rhTSH), a whole body scan (WBS) is performed to identify any areas where the iodine was picked up. The safety profile in patients receiving rhTSH either for diagnostic purposes or as adjunctive treatment for RAI ablation in patients who have undergone a thyroidectomy does not differ. In the combined clinical trials, reactions reported in patients greater than or equal to 1% include nausea, headache, fatigue, vomiting, dizziness, and asthenia. Options in management of RAI have been further supported by the introduction of advanced imaging modalities able to provide more precise information related to uptake of RAI. SPECT/CT combines the information from a nuclear medicine SPECT with imaging from CT to support enhanced observation and staging of neoplastic disease. SPECT/CT RAI imaging can provide better anatomic localization of RAI uptake and distinguish between likely tumors and nonspecific uptake. 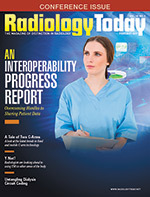 Results from SPECT/CT can be used to confirm designations and modifications in patient risk assessments and correlating treatment protocols.6 In addition, updated collimators are available that can enhance imaging and address challenges associated with use of older cameras that produce lower-quality scans. The prospects for long-term survival in thyroid cancer reinforce the need for clinicians and radiologists to continually assess the available interventional strategies and technologies that can help patients remain cancer-free while maintaining both overall health and quality of life. The application of different approaches in the administration of RAI coupled with access to advanced imaging technologies and procedures represent important considerations in development of treatment protocols able to support optimal outcomes for patients in the years ahead. — Richard Weiss, MD, is the former global medical director, endocrinology-rare diseases of Sanofi-Genzyme. 1. American Cancer Society. Cancer facts & figures 2016. http://www.cancer.org/acs/groups/content/@research/documents/document/acspc-047079.pdf. Published 2016. 2. Haugen BR, Alexander EK, Bible KC, et al. 2015 American Thyroid Association management guidelines for adult patients with thyroid nodules and differentiated thyroid cancer: the American Thyroid Association Guidelines Task Force on Thyroid Nodules and Differentiated Thyroid Cancer. Thyroid. 2016;26(1):1-133. 3. Schlumberger M, Catargi B, Borget I, et al. Strategies of radioiodine ablation in patients with low-risk thyroid cancer. N Engl J Med. 2012;366(18):1663-1673. 4. Smith CD, Grondin R, LeMaster W, Martin B, Gold BT, Ain KB. Reversible cognitive, motor, and driving impairments in severe hypothyroidism. Thyroid. 2015;25(1):28-36. 5. Pacini F, Ladenson PW, Schlumberger M, et al. Radioiodine ablation of thyroid remnants after preparation with recombinant human thyrotropin in differentiated thyroid carcinoma: results of an international, randomized, controlled study. J Clin Endocrinol Metab. 2006;91(3):926-932. 6. Avram AM, Esfandiari NH, Wong KK. Preablation 131-I scans with SPECT/CT contribute to thyroid cancer risk stratification and 131-I therapy planning. J Clin Endocrinol Metab. 2015;100(5):1895-1902. 7. Avram AM, Fig LM, Frey KA, Gross MD, Wong KK. Preablation 131-I scans with SPECT/CT in postoperative thyroid cancer patients: what is the impact on staging? J Clin Endocrinol Metab. 2013;98(3):1163-1171. 8. Hänscheid H, Lassmann M, Luster M, et al. Iodine biokinetics and dosimetry in radioiodine therapy of thyroid cancer: procedures and results of a prospective international controlled study of ablation after rhTSH or hormone withdrawal. J Nucl Med. 2006;47(4):648-654.